For Lindt shareholders, life is like a box of chocolates. They didn’t know they were going to get Russell Stover, the Midwest outfit whose gift box starred in Forrest Gump. They still don’t know what Lindt paid for the third-biggest U.S. candy maker. Or what it will get in terms of profitability. Published financial details are thin. Lindt did say that family-owned Russell Stover makes $500 million or so in annual sales. It also said that the deal will lift earnings per share – but that is almost a given with any cash deal sealed when interest rates are so low. Meanwhile, pledges to keep factories and a Kansas City HQ open show this is not about cost cuts. Nor will this midmarket brand set pulses racing in emerging Asia. So this looks more about routes to market in the United States. Lindt, which owns California’s Ghirardelli, is already strong on the east and west coasts. Now Russell Stover plugs it into Republican-voting red states: America’s not-so-gooey centre. The group’s 70,000 wholesale accounts include huge drugstore and supermarket chains. In February the Wall Street Journal said Russell Stover made $60 million in EBITDA. This weekend the Financial Times suggested the sale price might be nearly $1.4 billion. This is hardly the megadeal that will redefine chocolate. It is not Nestle buying Ferrero, or indeed Lindt, for example. But it still implies a lofty price of 23 times EBITDA, when Lindt itself trades on 14.9 times last year’s EBITDA, after adjustments, according to UBS. The WSJ figures imply EBITDA margins of just 10 percent. Rival Hershey makes twice that so maybe Russell Stover’s EBITDA margins are higher, or could be quickly improved. There could be sizeable tax benefits too. If so, the price would look far better. The family behind Russell Stover are obviously keen to preserve their privacy. Nonetheless, the secrecy is still disappointing. Lindt’s strong performance means investors may well give it the benefit of the doubt. But this is not like buying a Valentine’s Day box of chocs. When you present shareholders with your biggest-ever deal, it’s best to leave the price tag on. Lindt would not reveal the purchase price but said family-owned Russell Stover had annual sales of about $500 million. In a statement on July 14, Lindt said the takeover, funded by net cash and bank loans, would “make a strong positive contribution” to earnings per share from 2015. Two days earlier, the Financial Times, citing people familiar with the matter, had reported the two companies were close to a deal, with a purchase price of close to $1.4 billion under discussion. In February the Wall Street Journal said Goldman Sachs was advising on an auction of Russell Stover and the company could fetch more than $1 billion. Lindt’s voting shares rose 1.8 percent by early afternoon on July 14 to 55,735 Swiss francs. The stock has risen more than 60 percent since the end of 2012, hitting a string of record highs. 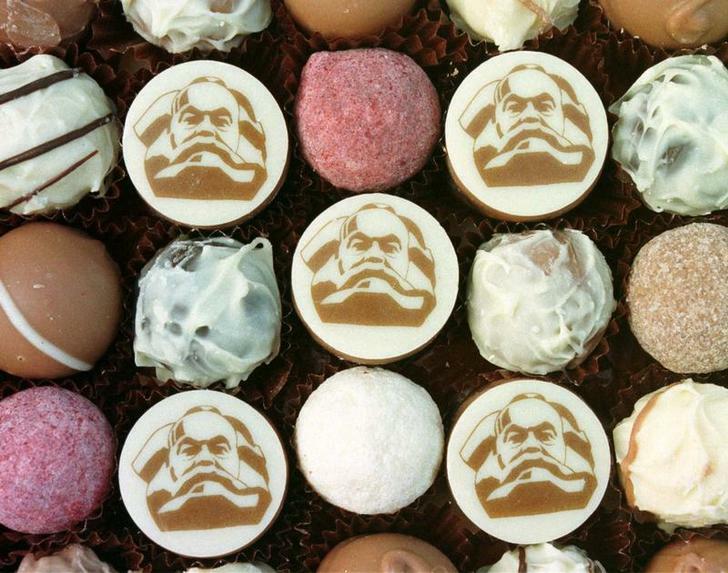 Lindt’s non-voting “participation” shares rose 2.2 percent to 4,600 francs.